Oil producers are facing increasing competition in major markets like China and India as OPEC and its partners continue efforts to curb output to clear a global glut. Iraq has also improved its port infrastructure to ensure a stable supply. 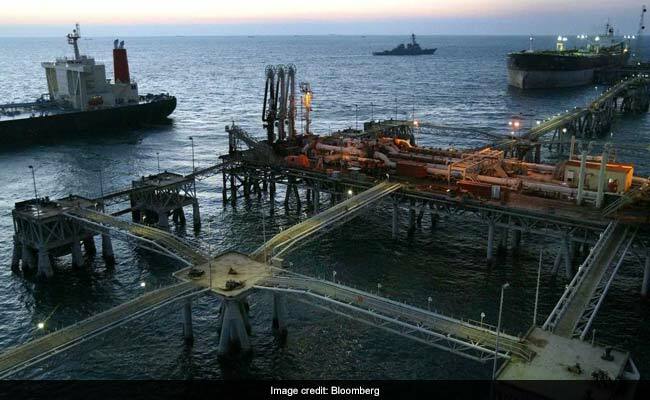 Iraq was the top crude supplier to India for a third month in May, shipping 1 million barrels a day, according to shipping data compiled by Bloomberg. Iraqi supplies accounted for 23 percent of India's purchases last month, up from an average 19 percent in the previous four months, while Saudi Arabia's share fell by 1 percentage point to 17 percent, the data showed. Oil producers are facing increasing competition in major markets like China and India as OPEC and its partners continue efforts to curb output to clear a global glut. India's $2-trillion economy imports more than 80 percent of its crude requirement and the International Energy Agency expects it to be the fastest-growing consumer through 2040. "Saudis used to be the king when it comes to crude supply, but now it's becoming a prince," said R. Ramachandran, the head of refineries at Bharat Petroleum Corp., India's second-biggest state-run refiner. "Preference for Iraqi crude will continue as Indian refiners continue with refinery upgrades." Iraq had been the No. 2 seller to India for years. "Iraqi crude is getting attractive and it suits our refineries very well," said Mukesh Kumar Surana, chairman of Hindustan Petroleum Corp. "Iraq has come out of the supply uncertainties and the pricing is very competitive." The state refiner buys about 4 million tons of Iraqi grades annually on a term basis, which matches the volume it gets from Saudis. Indian Oil Corp., the nation's biggest processor, will boost Iraqi imports to about 18 million tons in 2017 under term contracts from 15.6 million last year, said Finance Director Arun Kumar Sharma. Saudi purchases will remain steady at 5.6 million tons. India's total crude imports in May remained flat from April at 4.35 million barrels a day, according to the shipping data. Iraqi supplies fell 11 percent last month from 1.14 million barrels per day in April, the highest this year. 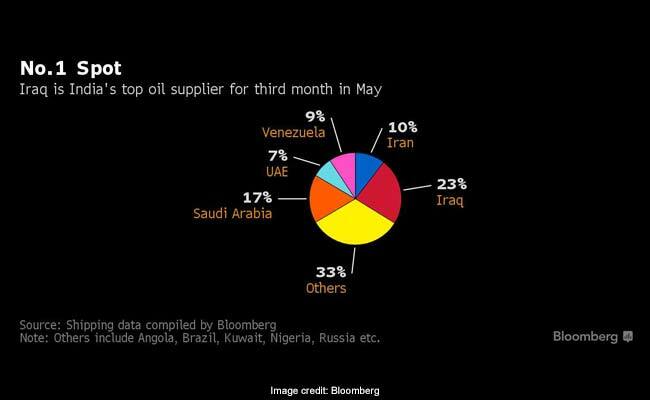 Iraq, the OPEC member which is among the most closely watched nations for compliance to the group's curbs, exported 3.93 million barrels a day in May, the highest in 2017, according to vessel tracking and shipping agent data gathered by Bloomberg.